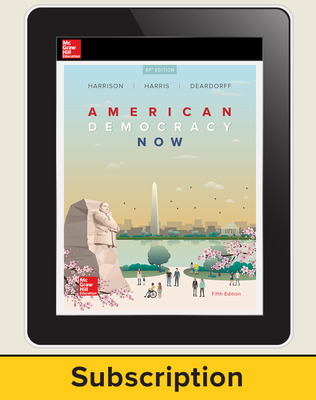 At the heart of American Democracy Now NEW AP Edition is a rich set of pedagogical tools that move students along the path to critical thinking and success on the AP US Government & Politics exam. The Constitution is explained in everyday language to aid true student understanding. 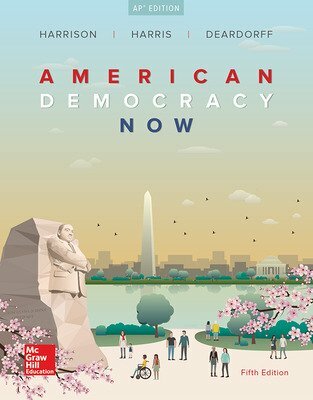 Visually appealing and highly interesting, American Democracy Now is a student favorite. AP vocabulary and documents highlighted to help students focus on the most important concepts. 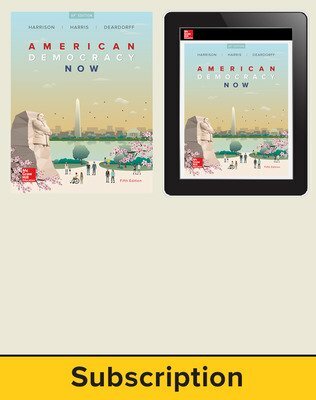 AP Teacher Manual, which provides classroom activities, a pacing guide, AP Exam practice and more.